Levulan (aminolevulinic acid 20%) is a naturally occurring photosensitizing compound that has been FDA approved for the treatment of precancerous lesions called Actinic Keratoses. Levulan is applied to the skin after a cleansing process for a variable amount of time deemed to be most appropriate for your condition. The area will be treated with a specific wavelength of light to activate the Levulan. Due to sensitivity, avoidance of direct sunlight is required for 48 hours after treatment. Although some patients are pleased with one treatment, to achieve maximum improvement of precancerous lesions, sun damage, skin tone, and texture, a series of 2-3 treatments may be required. Even with treatment, precancerous lesions are likely to redevelop over time and regular skin evaluations are advisable. After the procedure, go home and take it easy. The treated area will appear reddish and swollen. Some mild discomfort after the procedure is possible. The most common symptoms after the PDT include itching, burning, and swelling. Symptoms typically resolve in 2 to 4 days. You may take Tylenol and/or use ice packs. Avoid exercise or heavy physical exertion on the day of treatment. If a crust develops, allow it to fall off on its own. DO NOT pick the area. Washing the treatment site twice daily is recommended. Clean the treated area gently with your fingertips and a mild soap. Avoid scrubbing or trauma to the treated area. Strict sun avoidance is mandatory for 48 hours after treatment. However, avoidance of intense, direct sun exposure to the treated areas for a few weeks before and after the treatment is highly recommended. Use a broad-spectrum sunscreen of SPF 30 or higher. A follow-up examination may be performed in 4 to 8 weeks before and after PDT to gauge response. Multiple treatment sessions may be required for the best results. Certain insurance companies may require a pre-certification before treatment. Co-payment is required the day of service. 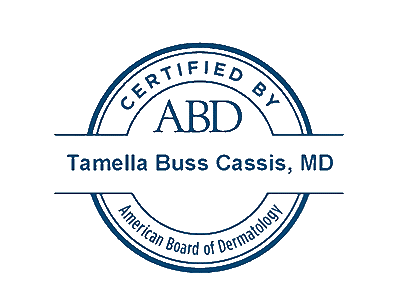 The staff at Cassis Dermatology and Aesthetics Center can treat all your medical dermatology needs.